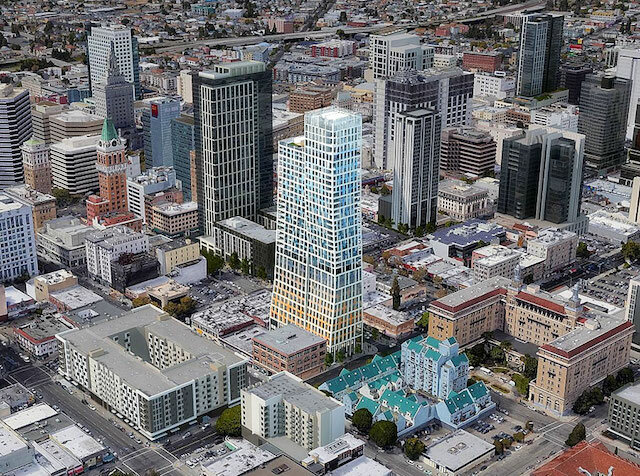 Oakland's skyline could soon be changing as developers have filed a proposal for a unique new building that would tower over businesses and residences in Oakland's Chinatown. 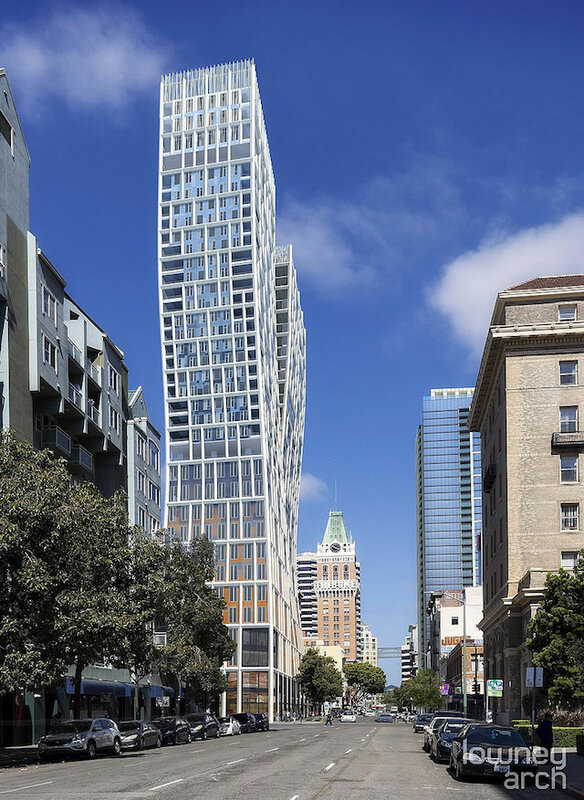 According to a report from the Chron, a proposal to build a "zigzagging tower" at 13th and Harrison was filed with the city of Oakland on Friday. Mark Donahue, design director at Lowney Architecture, the firm behind the design, said, "We’re trying for one tower that seems like two. 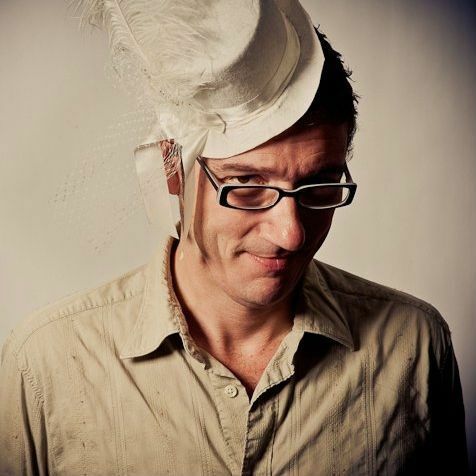 This is a way to create a much more vertical expression, and not just be another slab." The illusion is that the building looks like two separate towers that sprout from a single base. It's definitely a striking design, but a few watchdog groups are expressing concern over another unique aspect of the tower: its height. The Oakland Heritage Alliance's Naomi Schiff voiced some of that concern, saying, "Fundamentally, the site is too small for what they’re trying to cram in." The 13th and Harrison tower would dwarf the numerous smaller buildings in Oakland Chinatown, many of which are older, one or two story buildings. As proposed, the building stands at over 460 feet, with 36 floors of both residential and commercial space. That would edge out the Ordway building by Lake Merritt, which, at 404 feet, currently stands as Oakland's tallest building. The tallest downtown building, 1111 Broadway (12th & Broadway, City Center), tops out at 360 feet and 24 floors. SocketSite reports that the tower would provide 185 condos, 120,000+ square feet of office space, and 12,000 square feet of retail space at its base. They've got a few hurdles to clear before they can begin construction, though. Currently, the area only allows for buildings up to 275 feet in height. The firm plans to get around this limitation by listing 10 to 15% of those 185 condos as affordable housing, which could get them an exception by way of a "State Density Bonus." Given the fact that only 6% of Oakland's incoming new housing is considered "affordable" per an East Bay Express report, it's clear that the city definitely needs the condos and living space. But for the time being, the city's staying mum the plan, and seeing as how the Chron says there's no timetable for public comment or hearings on the proposal, it's likely we'll be waiting for some time to see whether this unique building will ever come to fruition.